Autumn officially arrives this weekend, and we’re welcoming the season with special help from you! Here are our favorite fall looks, each of them submitted by one of our wonderful fans. 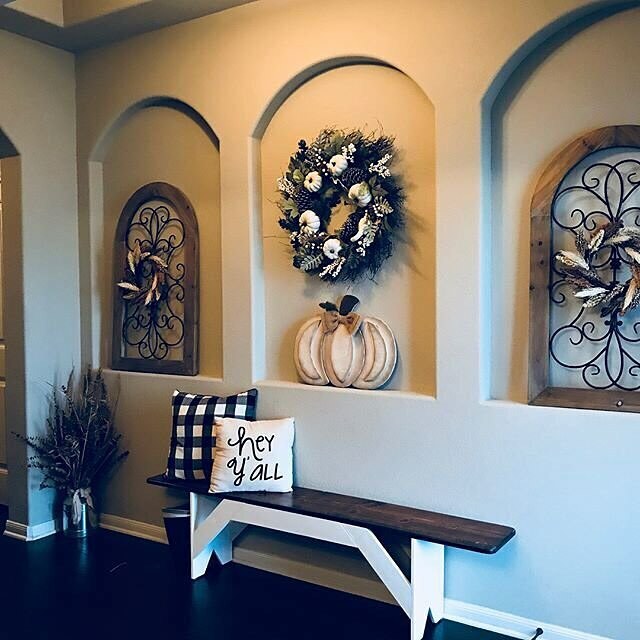 You don’t always need to incorporate the colors of changing leaves to make your home feel like fall. @farmhousestyle04 is an inspiration for anyone who appreciates a simple color palette. Warm welcomes are always nice, and @lyddiebit’s new doormat is the ideal choice for the front door. 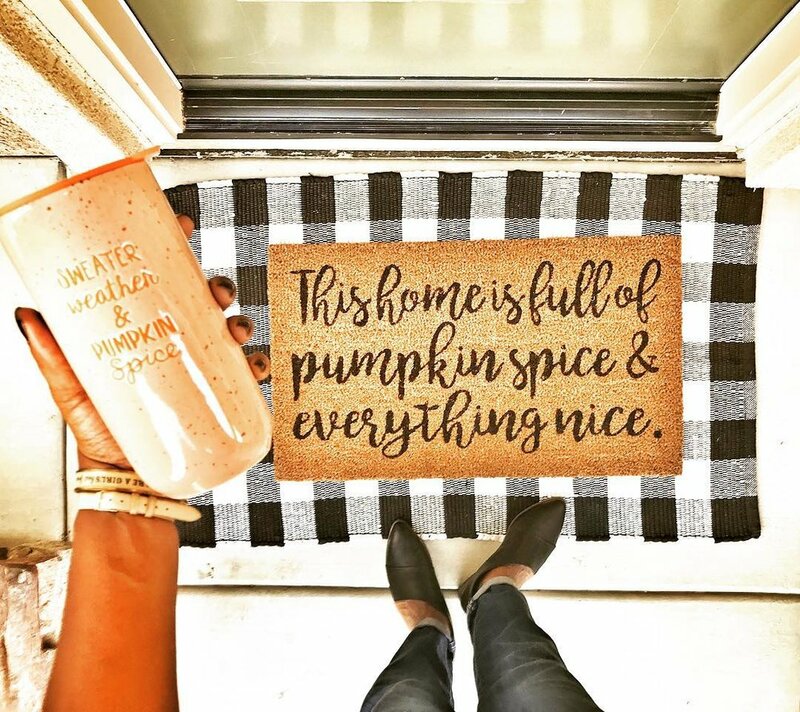 The only way a guest can feel more at home is if a pumpkin spice latte is waiting inside. A lot of people talk about harvest, but @thelarafamilyhomestead is living it. Just look at the lovely pumpkins her family grew! We also love how she’s celebrating in style with this festive banner. We’re officially in love with @myfindsmylovedecor’s porch. The cozy swing + pillows, autumn accents and color choices are perfect. Can we please come over and relax? We’re pretty paws-itive this is the cutest thing we’ve ever seen. 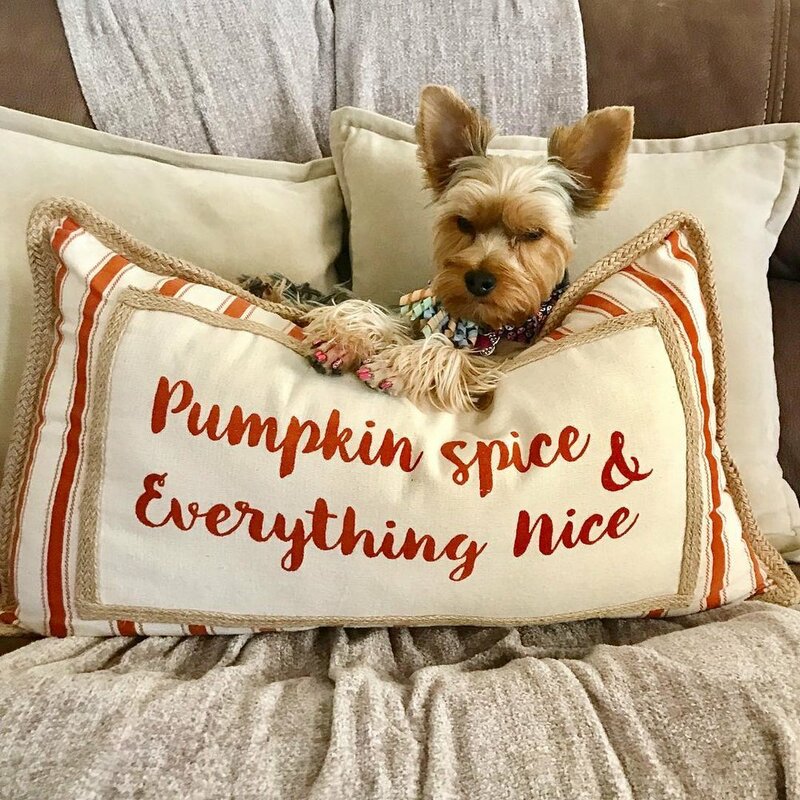 Who said dogs don’t like pumpkin spice? Selecting the right fall décor can be tedious, but @fallandwintercollection makes things much easier by presenting plenty of options. Here’s one of her shots featuring some of the selection at her local Kirkland’s. From the hello fall pillow to the cozy shirt, every single item from @erikalaurenluvs has us ready to snuggle up for the rest of the day… and there’s absolutely nothing wrong with that! 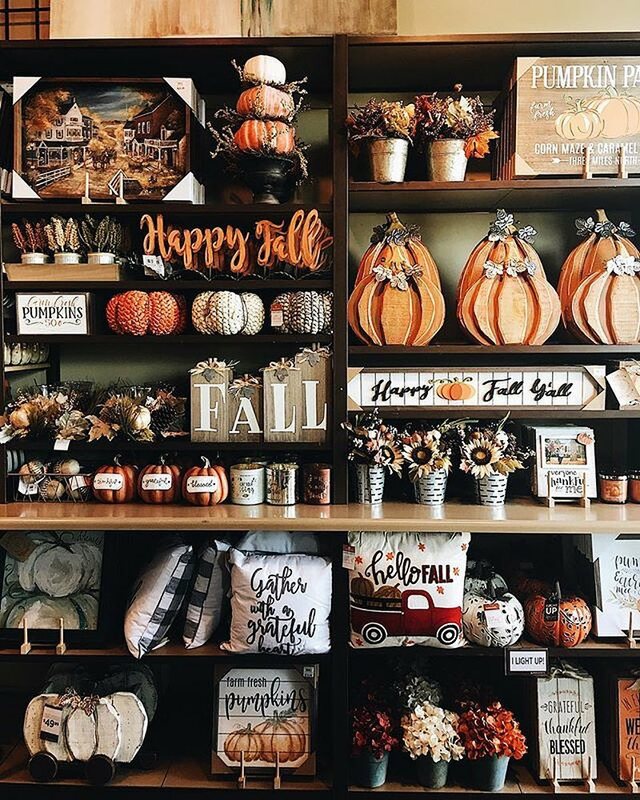 This basket of pumpkins and fall greenery is already cute by itself, but @honeyandbumble’s use of the sentimental sign makes it even more precious. We love this innovative idea to bring fall flair with fresh colors. Misty is making sure you feel all of the fall feelings. Her little sign almost certainly contains your favorite autumn activity, attire or food. Fall is all about pumpkins, and @jessiepack830 is very aware! We love how she featured this monogram pumpkin in the center of these delightful autumn accents. Think you have a fall-inspired look to top these? We’d love to see it! Tag @kirklands for a chance to be featured.